Tammy365: 5 Results of a "Short Sufferer"
5 Results of a "Short Sufferer"
Have you ever made a rash decision? Did one or several come to mind? You may be a "short sufferer"! The Bible notes patience or longsuffering as a fruit of the Spirit (Galatians 5:22). What did you say? It takes too long for fruit to ripen on the vine. Yes, it does take time to mature and Christians aren't blessed with every fruit of the Spirit immediately. We have to grow and ripen a bit to become a long sufferer. We learn to wait upon the Lord. There are consequences or missteps of being a short sufferer. Rash or quick actions most often ends with poor results. Misstep is defined as a clumsy or badly judged step. I define misstep as a byproduct of a short sufferer stepping before God has instructed. Think about going down a staircase and missing a step. You lose your balance, fall and end up hurt. Sometimes you can correct a misstep but not always. Sometimes the hurt from the injury lasts a lifetime. 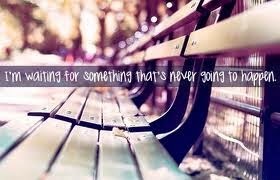 Do you feel like you're waiting on something that isn't going to happen? I would first of all say "Believe it to receive it" and then I would say have some patience. Psalm 40:1 I waited patiently on the Lord; and he inclined unto me, and heard my cry. Please, wait longer and cry louder before taking a step. Share your thoughts on being a short sufferer with a comment!